By the help of Translate Content App, the support staff or the agent can translate their ticket reply or the Knowledgebase Article on the editor itself. Just enter the content then select the content and then choose the language from the Translate drop-down in which you want to translate the content for the ticket reply or the Knowledgebase Article and it will be done. On the Dashboard, you will see "APP CENTRE" menu and under it, you will find "Translate Content". You will see 3 tabs- Overview, Documentation & Configure. Click on that button and Translate Content App will get installed. Alternately, for uninstalling the app, go to Translate Content "Overview" section then click on Uninstall button. 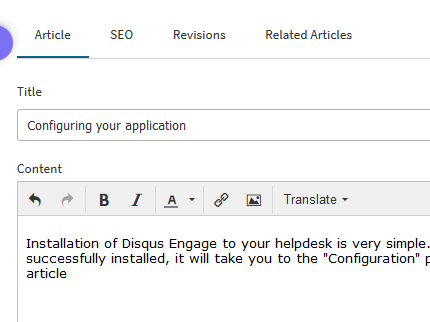 Under the "Configure", click on Setup Translation button. For adding the channel enter Name and API key. For the API key, you have to go here and log in. Then enter the Key description and click on Get Key button. You will be presented with the API Key. 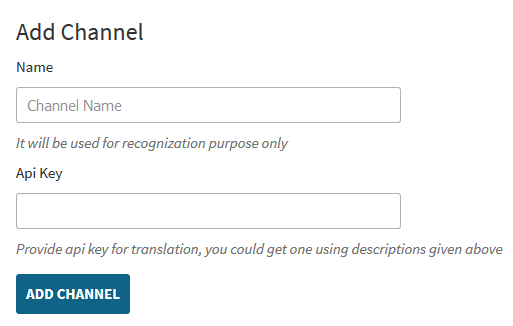 After pasting the API key, your channel will be added and you will see "Translate" drop-down in the editor of ticket reply and article. While replying to any ticket, the agent can enter the content in their language and then select the content. 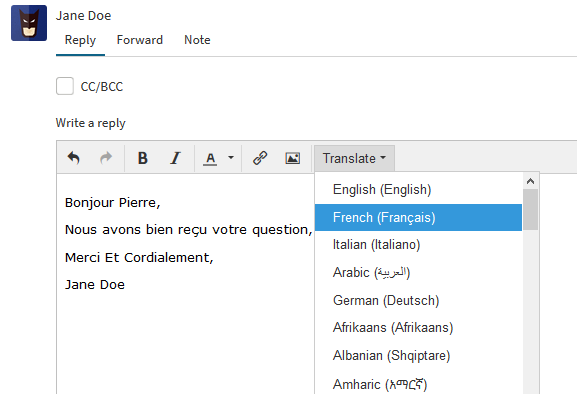 Now go to the "Translate" drop-down in the editor and choose the language in which they want to translate the content. It will save a lot of time of the agent as the translation will be done on the same page and there will be no need of copying the complete reply and pasting on another editor for the translation. 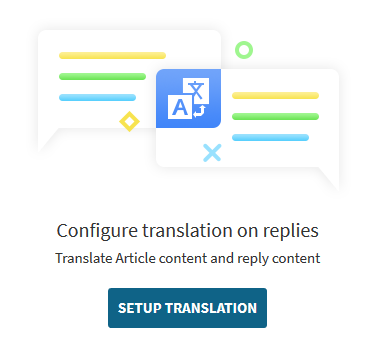 While adding any Knowledgebase article, the agent can enter the article content in their language and then go to the "Translate" drop-down in the editor and choose the language in which they want to translate the content. On the left panel of Article, there is Language drop-down in which "Default" option is selected by default. The agent can select the desired language from that drop-down and write the article from scratch in the selected language. The agent can provide Title, Meta Title, Meta Keywords, Meta Description and Content in the selected language. 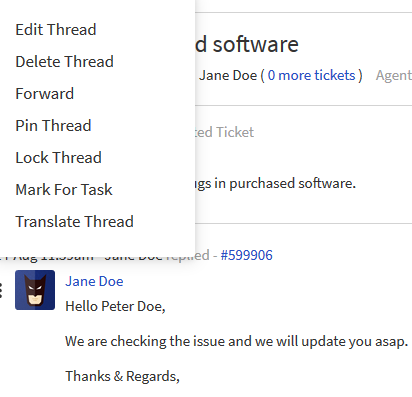 Even the agent can translate any ticket thread in their preferred language. Just click on More Options icon and then you will see Translate Thread menu. Click on that menu, select the preferred language and the text of that particular thread will be translated.